They are in and exactly what I envisioned when I set out at the show to find something special. You guys hit a home run here! The tournament was a smashing success and the Trophies went over as expected! Wonderful! 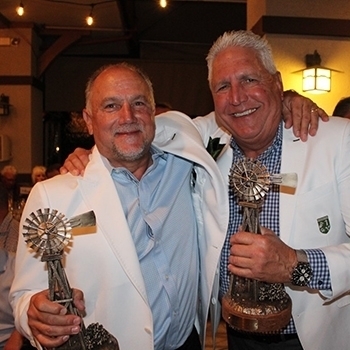 The SCPGA has a long and outstanding relationship with the team at Malcolm DeMille. 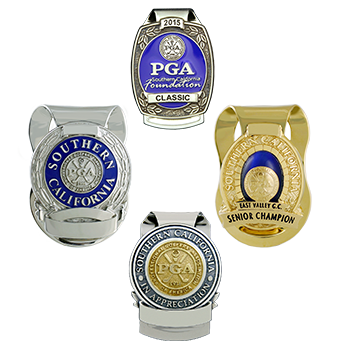 Their products, notably the beautiful money clips, provide a classic piece of memorabilia for our award recipients. 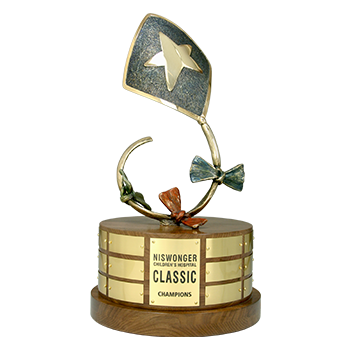 The trophy was a huge hit with everyone and is going to be a great symbol of the wonderful support our community gives to Niswonger Children’s Hospital through The Classic. The patients and families will love seeing it on display in our lobby and hopefully it will bring a little smile to the children’s faces. Thanks!! 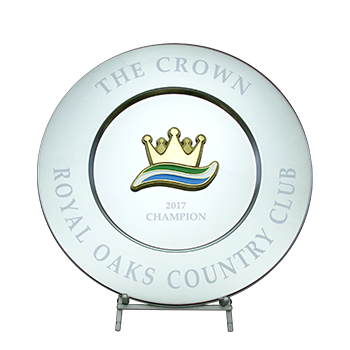 It was a pleasure working with Malcolm to create one of our perpetual trophies. I had the ability to make changes and adjustments on the go while incorporating member feedback. 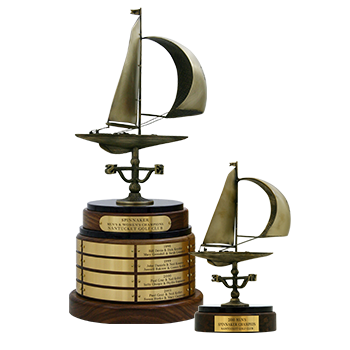 As a result, we developed a trophy that was truly unique to Nantucket and our member-member tournament. 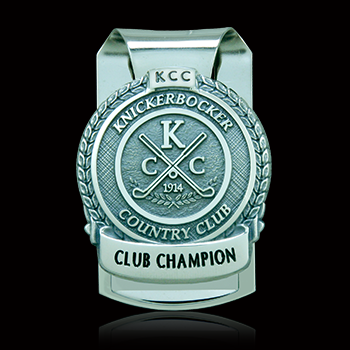 Now our members have a desire to win the tournament not only for the honor, but also for the highly regarded trophy. 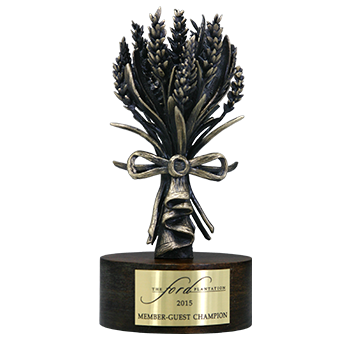 Malcolm DeMille understood our club’s vision and was able to create a unique trophy that no other company could provide. 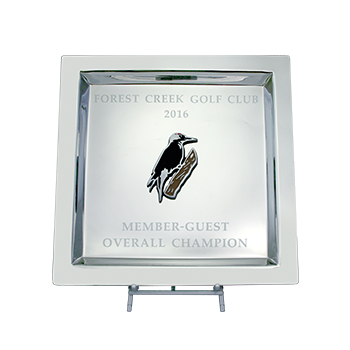 As a result, we have a special award that increases excitement for all of our club events. The quality and detail of the trophy goes unmatched in this business. Our tournament went well thanks to Malcolm DeMille and their amazing staff for helping with all the last minute add ons. We are so grateful for them accommodating us and making our tournament another hit! 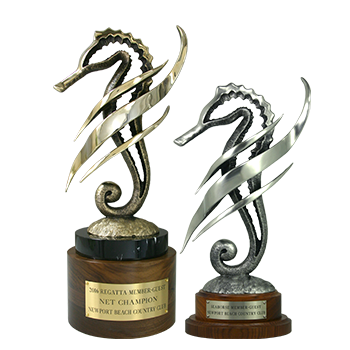 Our Seahorse trophies look amazing!!!! Thanks to all of Malcolm DeMille’s hard work and patience. We look forward to ordering some more. Everything came in perfect and we are very happy!! Thank you and your team for all you guys do!! Hope to talk to you all again soon! When I first met Malcolm, he liked the Employee Service Pins we were using, but suggested some ways he could change the design to better represent our company logo. 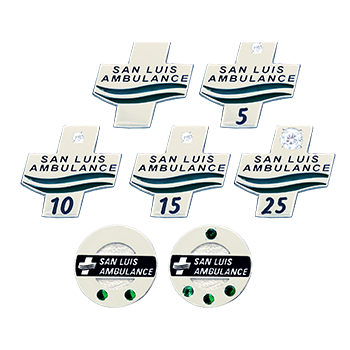 We liked his suggestions and have been using the new Lapel Pin designs with emeralds and diamonds to designate years of service for part and full-time employees. We started doing business with Malcolm over 10 years ago and never looked back. If anything is not right, they fix it with no questions. The team at Malcolm DeMille is a great company to do business with! 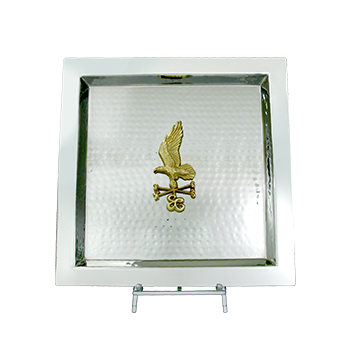 I love our trophy trays, they are so impressive! I love how thick the medallion is—They are so beautiful!!! Thanks so very much!! !